As September gets underway and we clutch on to the last hopes of getting any more bare leg weather, the time has come to accept (kicking and screaming) that AW16 is upon us. Say goodbye to that whimsical boho princess dress you’ve been wearing daily over festival season and bid adieu to those slightly-too-short shorts that need to head back into hiding for another year because, I hate to break it to you, but it’s gonna get cold. Like, Britain cold. 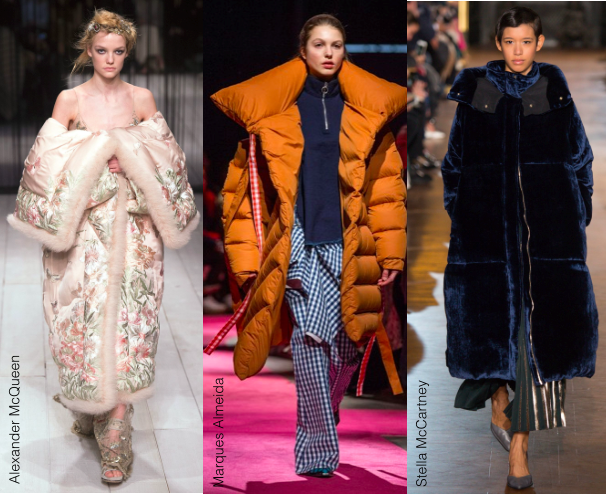 While it’s going to take us a little while to fully accept that jumpers are an actual real life thing again, the silver lining is that there are some amazing trends to work into the new season, and Autumn/Winter gives us the chance to be a little more experimental with layers and texture. We’ve pulled together a round-up of our favourite trends for the new season, along with the ones that look great on a 6ft-something goddess but that we’re never really going to wear. 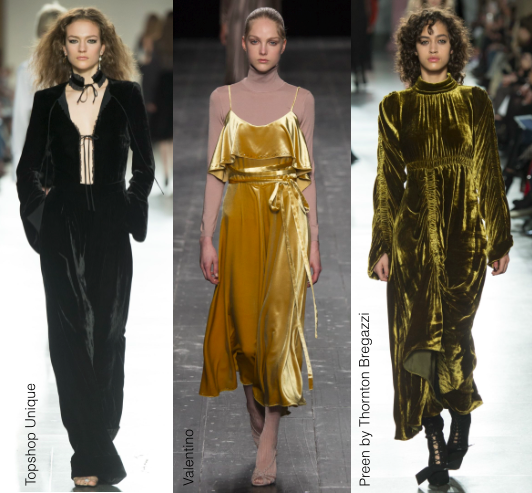 Luxurious and rich, velvet is a killer look for the colder months. Go head-to-toe in the fabric for AW16, as seen at Topshop Unique, Valentino and Gucci, or just add a subtle hint to an outfit with a velvet boot or bag. A word of warning – this is not a trend that will be kind to your washing machine. 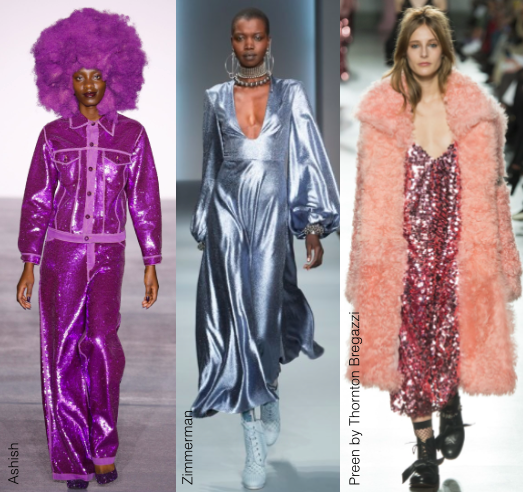 Go full winter glamour with metallics and sequins, as spotted at Ashish, Zimmerman and Preen. The more the better – if you’re going to do this, do it properly and be fabulous. A nice trend to tap into for the new season, embroidery can give the simplest of designs a stylish update. 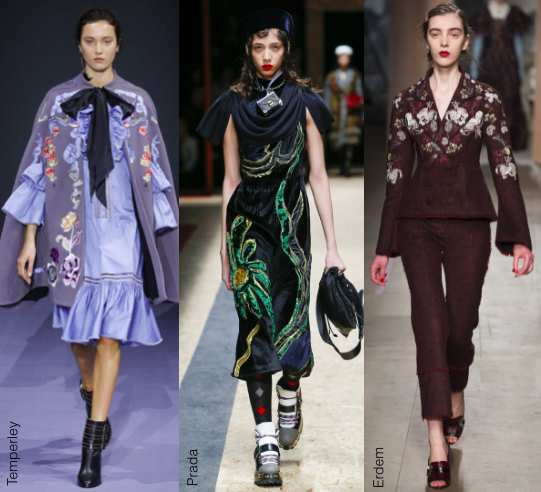 Find it on the catwalks at Prada, Erdem and Holly Fulton, but if you’re looking for a high street alternative, Zara has nailed it with some crisp shirts featuring delicate embroidered details. It’s maybe not a trend to go head-to-toe in, however, or you may step out looking like a character from a Tim Burton film. 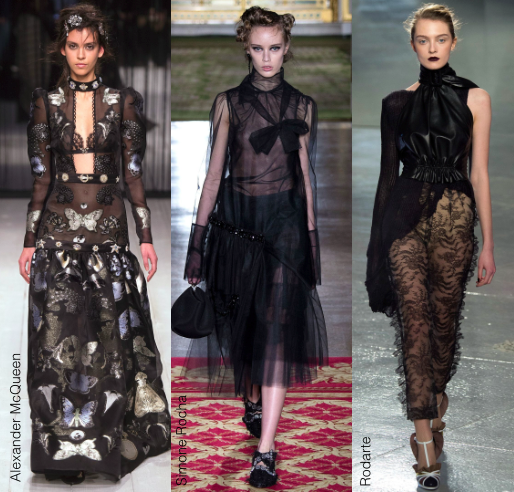 A gothic colour palette is juxtaposed with soft, sheer fabrics for a romantic play on an old classic this winter. Dare to bear for this one – the sheer detail gives it a delicate look, as seen at Alexander McQueen, Simone Rocha and Rodarte. Okay, so is this a trend we’re going to be adding to our wardrobe for the new season? Probably not, no. But it cropped up across major designers for AW16, and will likely trickle down into the high street with versions that are less… big. Never say never. Which trends will you be working for the new season?